ZTE Blade A110 (8GB Gold) at £29.99 on Big Bundle 10GB with 3000 mins; 5000 texts; 10000MB of 4G data. Extras: Top-up required: £25. ZTE Blade A110 (8GB Gold) at £29.99 on Big Bundle 20GB with 5000 mins; 5000 texts; 20000MB of 4G data. Extras: Top-up required: £30. ZTE Blade A110 (8GB Gold) at £29.99 on Big Bundle 2GB with 500 mins; 5000 texts; 2000MB of 4G data. Extras: Top-up required: £10. ZTE Blade A110 (8GB Gold) at £29.99 on Big Bundle 5GB with 1000 mins; 5000 texts; 5000MB of 4G data. Extras: Top-up required: £15. ZTE Blade A110 (8GB Gold) at £29.99 on Big Bundle 8GB with 2000 mins; 5000 texts; 8000MB of 4G data. Extras: Top-up required: £20. ZTE Blade A110 (8GB Gold) at £29.99 on Big Bundle UK & International 1GB with 250 mins; 5000 texts; 1000MB of 4G data. Extras: Top-up required: £10. ZTE Blade A110 (8GB Gold) at £29.99 on Big Bundle UK & International 3GB with 500 mins; 5000 texts; 3000MB of 4G data. Extras: Top-up required: £15. ZTE Blade A110 (8GB Gold) at £29.99 on Big Bundle UK & International 8GB with 1000 mins; 5000 texts; 8000MB of 4G data. Extras: Top-up required: £20. ZTE Blade A110 (8GB Gold) at £29.99 on Classic Pay As You Go. Extras: Top-up required: £10. ZTE Blade A110 (8GB Gold) at £29.99 on International SIM with 100MB of 4G data. Extras: Top-up required: £10. ZTE Blade A110 (8GB Gold) at £29.99 on International SIM with 200MB of 4G data. Extras: Top-up required: £15. ZTE Blade A110 (8GB Gold Refurbished Grade A) at £9.00 on Big Bundle 10GB with 3000 mins; 5000 texts; 10000MB of 4G data. Extras: Top-up required: £25. ZTE Blade A110 (8GB Gold Refurbished Grade A) at £9.00 on Big Bundle 20GB with 5000 mins; 5000 texts; 20000MB of 4G data. Extras: Top-up required: £30. ZTE Blade A110 (8GB Gold Refurbished Grade A) at £9.00 on Big Bundle 2GB with 500 mins; 5000 texts; 2000MB of 4G data. Extras: Top-up required: £10. ZTE Blade A110 (8GB Gold Refurbished Grade A) at £9.00 on Big Bundle 5GB with 1000 mins; 5000 texts; 5000MB of 4G data. Extras: Top-up required: £15. ZTE Blade A110 (8GB Gold Refurbished Grade A) at £9.00 on Big Bundle 8GB with 2000 mins; 5000 texts; 8000MB of 4G data. Extras: Top-up required: £20. ZTE Blade A110 (8GB Gold Refurbished Grade A) at £9.00 on Big Bundle UK & International 1GB with 250 mins; 5000 texts; 1000MB of 4G data. Extras: Top-up required: £10. ZTE Blade A110 (8GB Gold Refurbished Grade A) at £9.00 on Big Bundle UK & International 3GB with 500 mins; 5000 texts; 3000MB of 4G data. Extras: Top-up required: £15. ZTE Blade A110 (8GB Gold Refurbished Grade A) at £9.00 on Big Bundle UK & International 8GB with 1000 mins; 5000 texts; 8000MB of 4G data. Extras: Top-up required: £20. 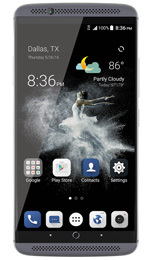 ZTE Blade A110 (8GB Gold Refurbished Grade A) at £9.00 on Classic Pay As You Go. Extras: Top-up required: £10. ZTE Blade A110 (8GB Gold Refurbished Grade A) at £9.00 on International SIM with 100MB of 4G data. Extras: Top-up required: £10. ZTE Blade A110 (8GB Gold Refurbished Grade A) at £9.00 on International SIM with 200MB of 4G data. Extras: Top-up required: £15. ZTE Blade A110 (8GB Silver Refurbished Grade A) at £15.00 on Big Bundle 10GB with 3000 mins; 5000 texts; 10000MB of 4G data. Extras: Top-up required: £25. ZTE Blade A110 (8GB Silver Refurbished Grade A) at £15.00 on Big Bundle 20GB with 5000 mins; 5000 texts; 20000MB of 4G data. Extras: Top-up required: £30. ZTE Blade A110 (8GB Silver Refurbished Grade A) at £15.00 on Big Bundle 2GB with 500 mins; 5000 texts; 2000MB of 4G data. Extras: Top-up required: £10. ZTE Blade A110 (8GB Silver Refurbished Grade A) at £15.00 on Big Bundle 5GB with 1000 mins; 5000 texts; 5000MB of 4G data. Extras: Top-up required: £15. 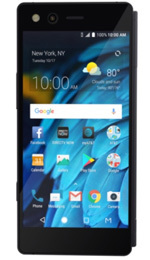 ZTE Blade A110 (8GB Silver Refurbished Grade A) at £15.00 on Big Bundle 8GB with 2000 mins; 5000 texts; 8000MB of 4G data. Extras: Top-up required: £20.